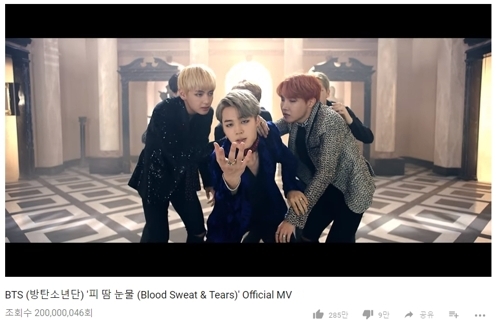 SEOUL, Oct. 30 (Yonhap) — K-pop group BTS’ “Blood Sweat & Tears” music video has garnered over 200 million views on YouTube, its management agency said Monday. The video for the lead song on “Wings,” the group’s second full-length album released in October 2016, reached 200 million views on the global video site Sunday evening, according to Big Hit Entertainment. BTS has two other songs — “Dope” and “Fire” — that have reached the same milestone on YouTube. BTS last month released its latest EP album “Love Yourself: Her” to critical and commercial success, having sold 1.2 million copies to become the biggest-selling Korea music record in 16 years. The group plans to hold a concert in Macau on Saturday. If you like to watch movies on the third-party entertainment apps, you must have definitely heard of ShowBox. In fact, there is a good chance you might have used it already. ShowBox used to be one of the most widely used apps a little while ago. But, the users have frequently started reporting the problems with this app. Listen,i am here this visit and played run game,these are 3D game,like mortal kombat and king of fighter,run game are available here this site run run 3 we loved play this game,run game is very famous in the world everyone play and share this game,i hope you like and share this portal.